According much of the media, last Friday’s climate change ‘strike’ staged by school students across Australia was an epoch-making moment in the history of Australian civil disobedience. ‘Look at this and tell me this is not THE key issue in next year’s election, that all who oppose action on climate change are about to be swept away,’ declared Peter FitzSimons. The conventional wisdom seems to be that #climatestrike is an omen of the reckoning the major parties face unless they commit to decarbonising our way of life. They may not yet be old enough to vote, we are told, but generation ‘woke’ are angry, organised and eager to avenge the climate-sins of their forbears. This narrative is attractive to those who think that debate about climate change is really a proxy war between good and evil; that the only morally acceptable response to our impending climate catastrophe is to spend hundreds of billions of dollars trying to return the economy to a preindustrial (if not prehistoric) state. The big lie behind this misty-eyed romanticism is that #climatestrike was in keeping with Australia’s proud tradition of radical protest. Sorry, but scribbling ‘I hate ScoMo more than I hate school’ on a piece of cardboard in the hope of getting your mug on TV isn’t following in the footsteps of the Eureka Stockade. It just makes you a brat. Indeed, missing from every single one of the protests was any kind of coherent message or call to action. Instead we saw groups mulling around aimlessly, iPhone cameras on standby, occasionally chanting with less intensity than a war cry at an interschool netball match. Here’s a tip: if you want to influence public policy, get organised. Work out exactly what you want to change and articulate your message. Because if all you are prepared to do is to wail about the need for government to do something, you haven’t yet left the playpen of teenage idealism. Follow the lead of the academics and students at the University of Melbourne who in 1963 took on racial segregation by publishing a manifesto calling for a colour blind society. Their paper Immigration: Control or Colour Bar? 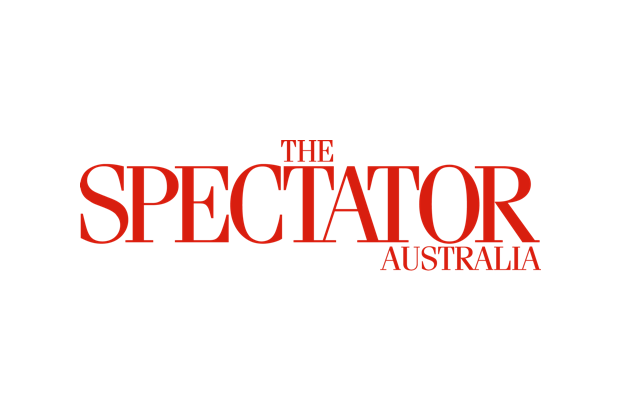 is widely credited for sparking debate about Australia’s retrograde attitudes towards race that ended in the abolition of the White Australia policy a decade later. Or consider the group of students in the 1960s who quite literally chained themselves to Brisbane’s famous Regatta Hotel after being refused service because they were female. This is what genuinely courageous activism looks like – taking a stand against the misguided but fashionable shibboleths of the times. By contrast, the kids who took part in #climatestrike asked permission from their teachers to take the afternoon off school so they could march through the city yelling obscenities in public. ‘F— Scomo’, ‘We’ll be less activist if you be less sh-t,’, ‘thanks for all the stinky air Mr Politician’ – these are not placards crafted by young people serious about changing the world. They’re an angsty, middle-class howl for attention from students more interested in trending online than engaging in the serious business of politics. And let’s be clear, there’s nothing remotely radical or subversive about young people spewing bile about politicians just for the heck of it. It’s really just surrendering to the crudest instinct of adolescence: hating the establishment. The bigger reason this childishness ought to be challenged, not congratulated, is that it breeds the view that politics isn’t a contest between competing values, but a righteous battle between good and evil. The problem with this infantile outlook on public affairs is that it leads people to view the weighty and complex debates of our time not in terms of costs and benefits, but as a simple matter of right and wrong. Thus, eliminating coal-fired power in the name of fighting climate change doesn’t throw up difficult trade-offs involving jobs and living standards – it’s a litmus test for your moral worth as a human being. Inevitably, this febrile mindset breeds a contempt for opposing points of view that’s anathema to the kind of robust public debate we ought to cultivate. Witness the (supposedly) serious journalists who dismiss Trump voters as racist rednecks and Brexist supporters as anti-immigrant bigots. This is the last thing we should be encouraging among children who, by all indications, don’t understand basic grammar let alone world affairs. This is why the columnists, TV hosts and journalists who lauded #climatestrike as the work of a ‘passionate generation of young scholars’ are so wrong. Actually, these kids have more in common with the cross-dressers who roamed the streets of DC last January calling Trump a fascist minutes after he took the oath of office. Ironically, while the media was fixated on last Friday’s events, the United States government released the findings of a landmark study on the potential impact of climate change. The 1,600 page report, compiled with the help of thirteen government agencies and more than 300 scientists, estimates that climate change will reduce economic growth by 10 per cent over the next one hundred years. While that might sound hefty, a 10 per cent reduction in the rate of growth would still likely make the United States three times wealthier than it currently is. The takeout from the report is that even according to scientists on the public-payroll, the costs of climate change are readily manageable. This study also serves as a timely reminder that those who doom-monger about climate change are hardly speaking truth to power. Just like the thousands of kids who asked permission from their teachers to go ‘protest’, they’re actually engaged in a grand act of conformity: genuflecting to the fashionable eco-pieties of our time.